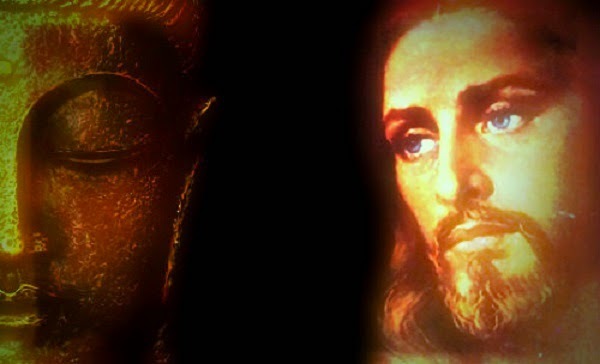 Home » truth » Was Jesus a Buddhist? It is entirely possible that Jesus did in fact find a monastery and become a Buddhist monk for many years between his “lost years” age 12-30, and then upon his enlightenment become overly egotistical about all the changes in his life that would have taken place. Such changes that usually occur with total enlightenment are development of psychic skills and energies, spiritual discernment, premonition of danger, a development of internal strength known as chi or ki, divine health, the ability to touch and heal others. There are more that happen but it would become to repetitive so you probably get the idea. But in Buddhism Buddha taught that one must let go of ego, there are also documentations of monks and other Buddhists throughout history that have lost the path due to not letting go of ego. When they reached enlightenment they couldn't handle the changes and started living in egotistical ways and not as a Buddhist should. In fact there is documentation of Buddhism disappearing in India in the 18th century due to many contributing factors that could have something to do with ego. So we can see that there are several accounts of Buddhists going bad because they cannot follow the path perfectly, although there are most that can and do. So it is entirely possible that Jesus was one of these types. If he reached enlightenment and let ego cloud his judgment then it is easy to see yourself as a God with the changes that come with enlightenment. He would only know the teachings of Judaism and Buddhism then and mix them and formulate the story that he is the son of God rather than the God himself because that is a more believable story, the Christians are who actually made him God in the flesh after he was said to raise from the dead, Jesus never said he was God. And the healing could have been in fact healing of people from his touch due to his enlightened status; there are documentations where Buddha has healed with his touch as well and many other people thought to be prophets as well as ordinary people that do it today. This seems to come with meditation, enlightenment and living a pure life as well. Again most Buddhists can attest to all these changes, their family can attest to their abilities since enlightenment as well, although they are not fully enlightened as Buddha and Jesus were, they are on their way. Speaking from today’s scientific proof, evidence and studies it is easy to make the connection of Jesus and Buddhism and the area in which he was and could have walked to or even been carried to. There are the monastery historical documents that prove someone matching the complete description of Jesus entered the monastery and was injured to the point of almost death. The monks healed and nursed this man back to health and then the man stayed at the monastery for many years before changing his name and venturing back into the world. They called him St. Issa which is the name for Jesus and said that his stories matched the stories of a man called Jesus as well. Funny how most all the teachings of Christianity parallel the teachings of the Buddha down to the 10 Precepts/10 commandments. This article is just one opinion and speculation of a Zen Buddhist priest, draw your own conclusion, as Buddha said, "Don't believe me fully, but search for the answer yourself and prove me right or wrong"